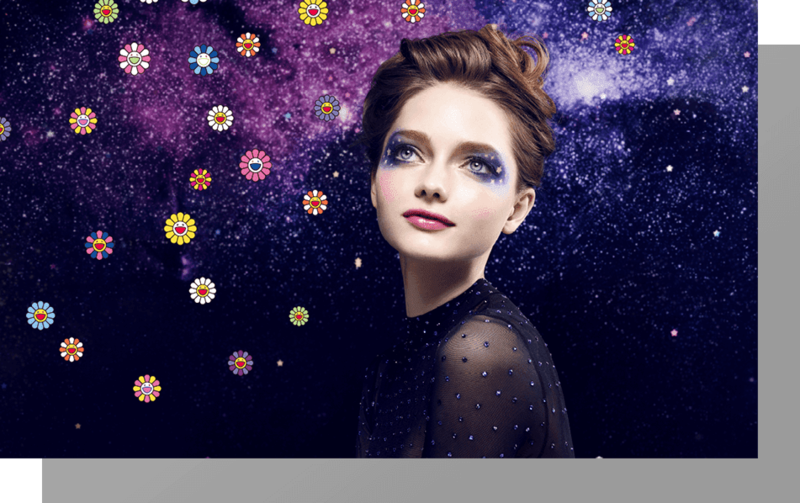 Shu Uemura did it again with another designer collaboration, this time with Japanese contemporary artist, Takashi Murakami. 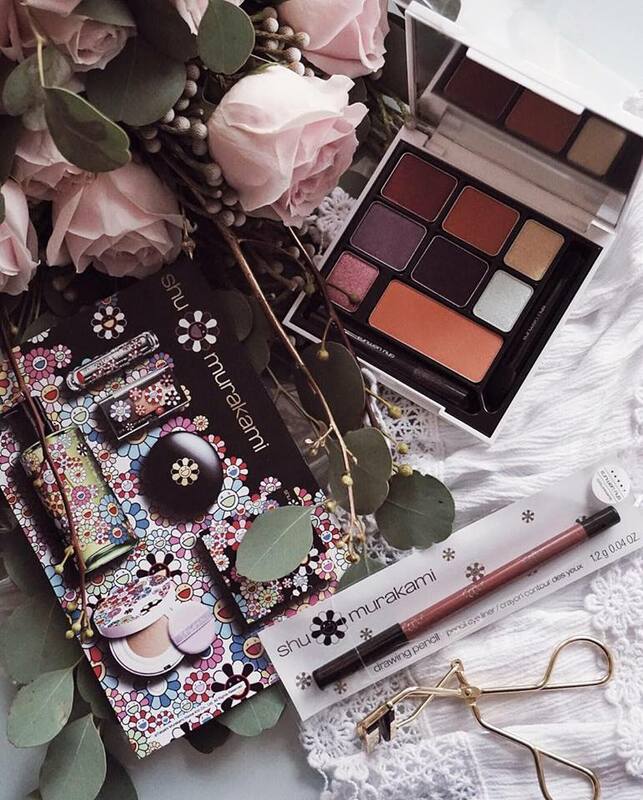 I'm a makeup palette collector and I enjoy alternating my palettes to achieve different looks. 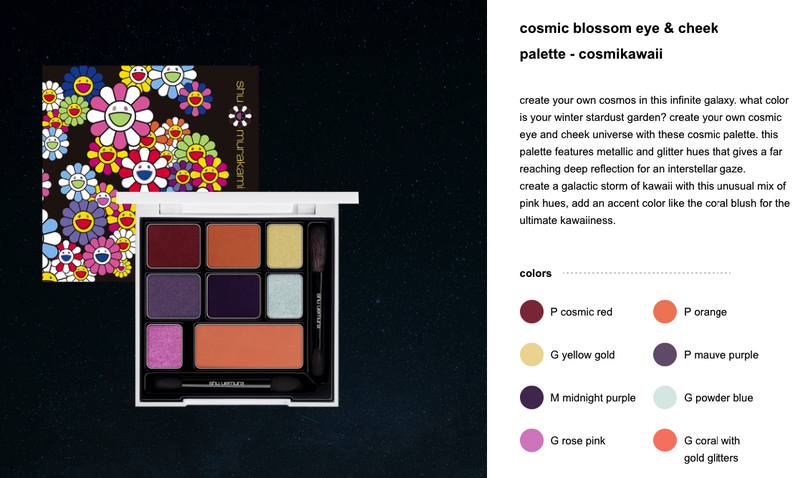 So when I got my hands on the Cosmic Blossom Eye and Cheek Palette along with the Drawing Pencil in ME Comet Brown, I couldn't help but to do a few swatches to test them out! This was the only palette that I brought along with me to Japan - so if you see anything you like on my eyes on one of my Japan vlogs, it's this. 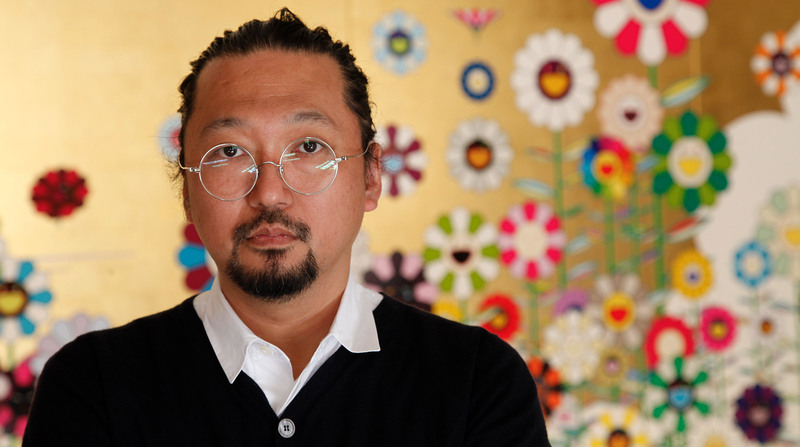 The 2016 holiday collection was designed based on Murakami's vibrant and iconic "smiling" flowers that he features in most of his known sculptures and paintings - more on Murakami's art here. His design is mainly displayed on the packaging of the collection, with colours that resonates the magical and blooming holiday season. On the makeup palette, you will notice 3 glitter-based shades in Yellow Gold, Powder Blue and Rose Pink. These 3 glitter shades are very powdery and might get a bit patchy when applying. However, it acts as a get cosmic addition to the makeup. The ones that I got most used out of are the shimmery based shades - they are beautiful! They give a metallic and reflective effect on the lids - specifically, the Cosmic Red, Orange, Mauve Purple and Midnight Purple. If you in for a kawaii look, you'll love the Orange shade that has tiny gold glitters in them for the cheeks. As for the drawing pencil in ME Comet Brown, it doesn't display distinctively as a brown shade because it carries more red and pink in it. It works well as a lower lid liner, and gives a blooming complexion to your entire look.